Fuzzy Feet is a cottontail rabbit that visits our yard every evening for the past 8 months or so (we like to believe it’s the same bunny). My son (3 at the time) named him Awesome Fuzzy Feet the Incredible. Since we all love his visits we need to ignore the fact that he eats all the flowers we plant in our garden. This week he ate the four sunflowers the kids had planted from seeds. 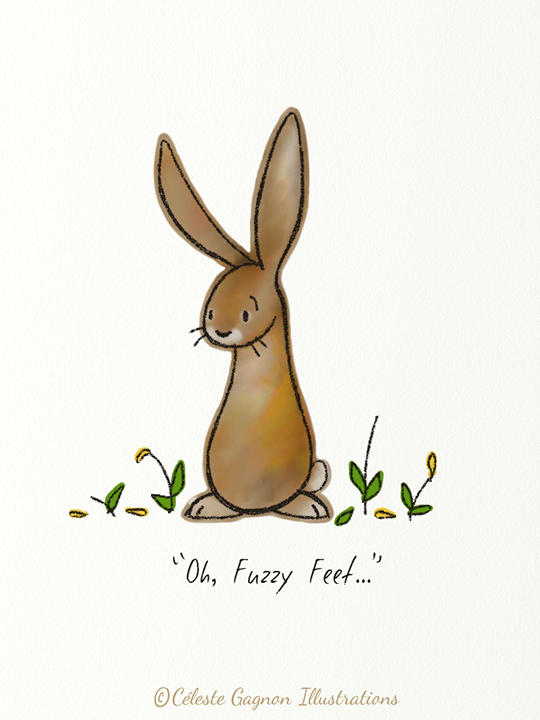 The kids just shook their heads and said “oh, Fuzzy Feet” like it was a super endearing quality. That bunny is lucky to be so loved, and he doesn’t even know it! This was done in ArtRage as well. I like the versatility of this program, but tomorrow I am going to try a different one, just to keep things interesting!